Even snow covered, yes, the golds of Autumn can still be found! Thank you! It's always interesting to see how a minimalist image can stir emotions! Gold and blue sure are delightful! 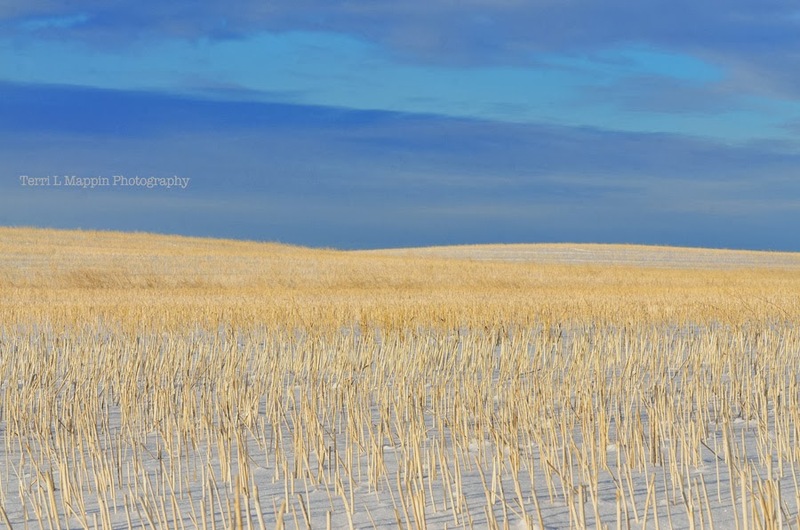 Your "header" photo with the yellow trees and field against that dark blue sky is very stunning!! My favourite colour of cattle are featured too! They are such 'happy' colours! oh gosh! this is simply beautiful! Thank you Tammie! It's sometimes hard to imagine canola stubble being pretty but it has its days!